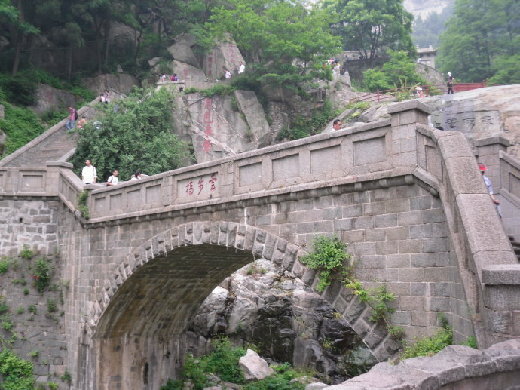 The bridge is above the deep and precipitous valley. To the north of the bridge, the cliffs are almost upright. When the rain season comes, the waterfall makes people on the bridge feel like walking in the clouds. Tai'an is located at the southern foot of Mount Tai, in East China's Shandong province. Copyright © 2016 China Daily. Sponsored by the Publicity Department of Tai’an City. Presented by China Daily.